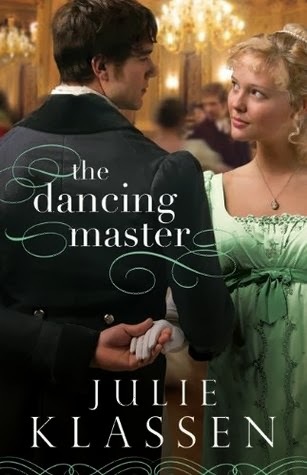 I absolutely loved the first book in this series (So Fair a Lady) and have been anxious to read Kitty and Nathaniel's story! She remained as stubborn as ever in her loyalties to the king, but it was enlightening to see things from her perspective. 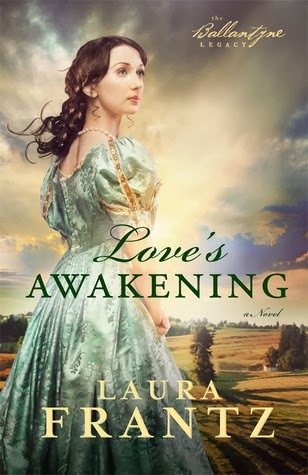 She finds herself caught in some dangerous predicaments as well as experiencing turmoil over her romantic feelings for Nathaniel, a staunch and very vocal patriot. He is such a charming and likeable character, and he has his own inner conflict over falling for Kitty. My favorite parts are when Nathaniel and Kitty were able to put aside their differences and just enjoy each other. Something I noticed is that in the first book, the patriots were a definite minority and quite unpopular, but in the second book things have reversed. It really shows how turbulent the times were approaching the Revolution. I'm looking forward to seeing how the political climate has progressed in the next book, which will feature Henry Donaldson, a British soldier and friend to Kitty and her sister, as the main character. What was something new you learned from publishing your second book? I learned a lot! Historical facts, self-publishing tips and tricks, etc. But I think one of the most important lessons I learned is that haste makes waste! :) For me, writing is a slower process--and I really enjoy that. When I try to push it and move too quickly, it loses its pleasure and the result is lower-quality writing. Where do you draw inspiration for your characters' personalities? Who is a historical female you admire? I understand you've been to the setting of So True a Love, the Cape Cod town of Sandwich, MA. What is memorable about it for you? I learned in my last interview with you that you are a huge lover of music. Are there songs that you associate with each of your novels? 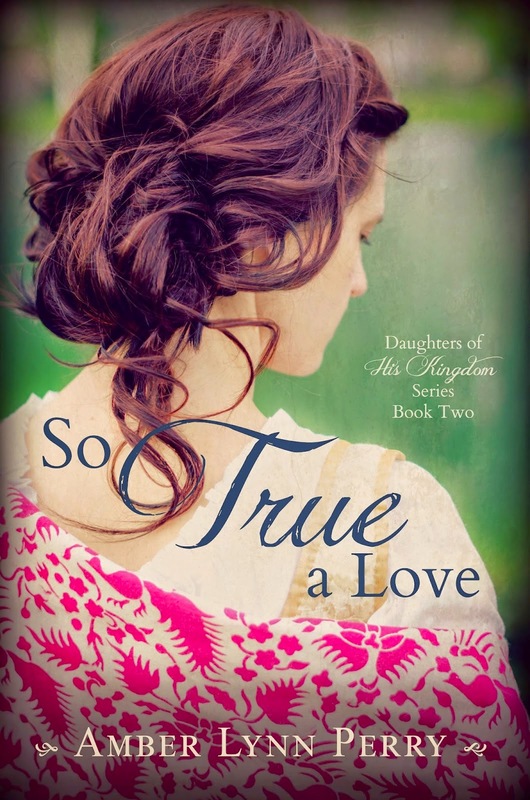 Amber is generously giving away one print copy and one e-book of So True a Love! Enter below for a chance to win her wonderful book! If you haven't read her first book, So Fair a Lady, I highly recommend it, and it's only $2.99 for the e-book, a fabulous deal! (Print copies available to order as well). 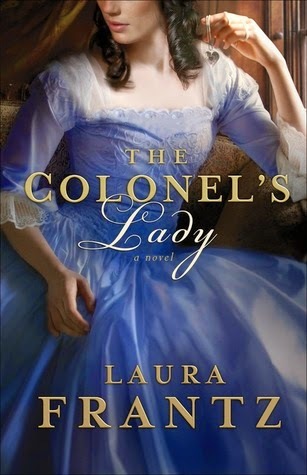 Free today is the e-book of The Colonel's Lady by Laura Frantz! 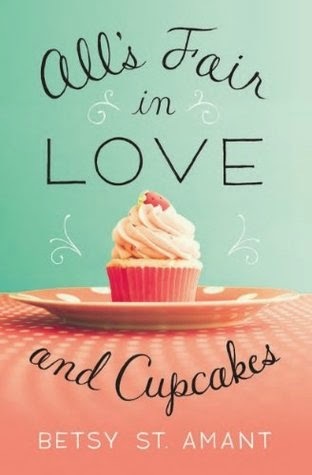 I think the cover of this book is gorgeous! Kitty Campbell knows that leaving the dangers of Boston behind for a more tranquil life in Sandwich is God's will for her. But not even twenty-four hours after arriving in the small sea-side town, she witnesses a terrible crime and is forced to stay silent or her family will be made to suffer. And yet, as the consequences for remaining quiet threaten more than just her family, Kitty is desperate to unload her burden. 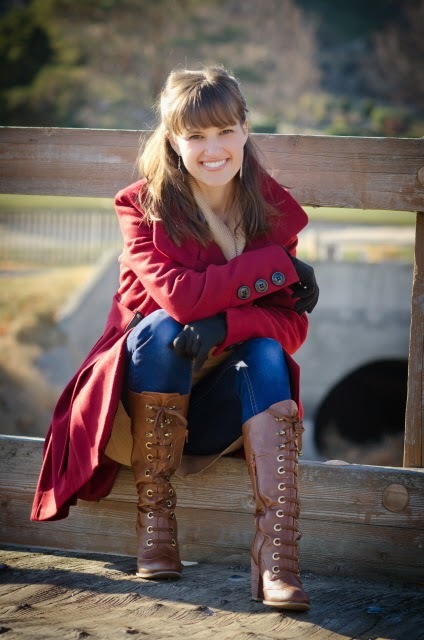 When handsome doctor Nathaniel Smith comes to her rescue more than once, she is tempted to risk everything by revealing what she knows, as her hidden attraction to the courageous patriot builds into much more than childish infatuation. When Doctor Nathaniel Smith discovers the town's ammunition stores have been raided, he knows immediately who to blame--the hated Torries. Desperate to keep the remaining powder out of enemy hands, he vows to find the men responsible. Then when Kitty Campbell is brutally assaulted and refuses to name her attacker, he suspects she might know something and keeps a closer watch for her safety, only to discover a fleeting attraction he harbored long ago threatens to grow into something akin to love. Yet, he knows a Tory and a Patriot would make a terrible match. At least that is what his head understands, but can he make his heart believe it also? The first book in the series, So Fair a Lady, is only $3.99 as an e-book, which is a fabulous deal! A print version is available as well. I have loved reading novels set in the Colonial time period since I picked up Ann Rinaldi's Time Enough for Drums as a teenager. There is something about the political birth of our country and the patriots that affected change that is so powerful. 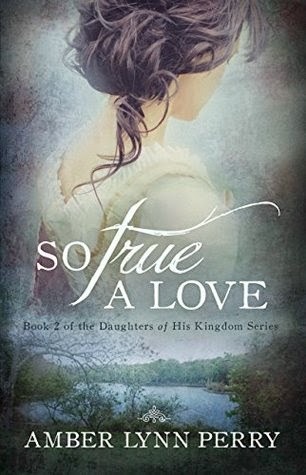 This book is especially dynamic since Eliza begins loyal to the King of England, but as she follows the prompting of her father to search for the truth, she comes to an understanding that the true King to whom her loyalties belong is God. The relationship Eliza has with her sister Kitty is sweet and also grounding since they don't know where their future will take them, but they are strong for each other. The chemistry between Eliza and Thomas is palpable, and the restrained passion creates a wonderful romantic tension. It was interesting to read Officer Martin's point of view as well, since he doesn't appear to be a villain to Eliza and Kitty, and his decisions stem from a real worry for Eliza. The pacing of the novel is well-done, with a good balance of action and apprehension as well as pondering and growth. The ending wraps this book up, however there is another novel in the series with Kitty as the main character, and I am excited that it will be releasing this summer! I definitely recommend this book to fans of Jody Hedlund and Laura Frantz. Amber Perry's debut novel has been not only a pleasure to read, but also thought-provoking and inspiring. 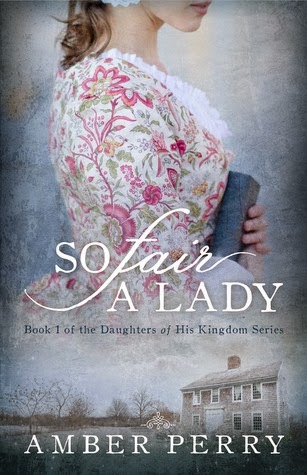 Stay tuned for my upcoming interview with the author Amber Perry and a giveaway of her novel, So Fair a Lady! I had high hopes for this novel and perhaps high expectations. I enjoyed the plot and there was some mystery involving the ban on dancing that was revealed in bits and pieces throughout. I had a hard time relating to Julia, and I found myself wanting to know more about several of the secondary characters who had the potential to be more interesting than the main characters- their friends and peers who seemed to be there for convenience, but not developed. I didn't feel any romantic chemistry between Alec and Julia- they made better friends in my opinion. Bride-to-be Stella Carson can’t wait to marry her longtime sweetheart Marshall Henderson. But Marshall has been away serving his country and after suffering a head wound and being diagnosed with post-traumatic stress syndrome, he has distanced himself from Stella by asking her not to visit him in a Washington, D.C. hospital. 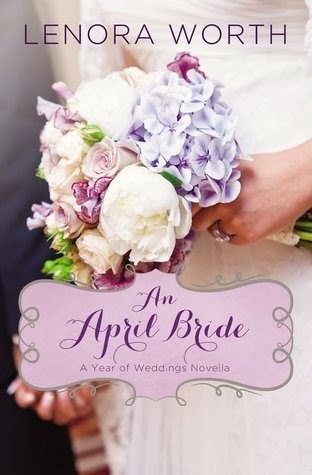 Marshall returns to Louisiana just four weeks before the wedding, but as the big day draws near, Stella wonders if the man she’s loved for most of her life still wants to marry her. I thought this was a great plot. I enjoy stories of soldiers who serve their country and the women who support them. The amnesia angle was interesting, especially as they began to connect again and Marshall began regaining his memories. The countdown to the wedding was a stress factor for the couple, but it also hindered the development of the relationship in the story since Stella's thoughts and scenes were for the majority focused on whether or not to continue with the wedding, postpone, or call it off. The characters seemed to be stuck in limbo which became a little repetitive. I loved the ending, but I don't want to give anything away! 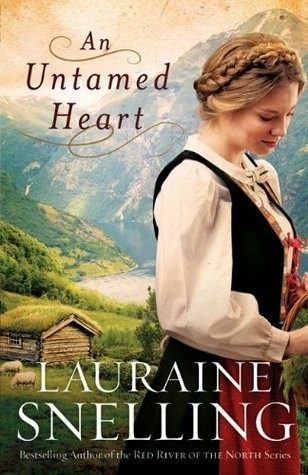 In the spring of 1822, Ellie Ballantyne leaves finishing school and returns to the family home in Pittsburg only to find that her parents are away on a long journey and her siblings don't seem to want her to stay. Determined to stand her ground and find her place in the world, Ellie fills her time by opening a day school for young ladies. This was a well-written book- lots of rich historical details during a turbulent era. I enjoyed reading about the two main characters, but felt as if there was a huge backstory that was only hinted at... but those hints made me wish I had the missing information needed to understand the relationship. I also felt that because the details of the previous history between Jack and Ellie were not shared, it was hard to feel the connection between them or understand their falling in love, or even trusting each other.